Why Call a Chimney Expert Instead of a Roofer When Your Chimney Is Leaking? Let’s pretend you have a problem with mice: would you go buy a dog when what you really need is a cat? Then why hire a roofer to fix your chimney? In reality, the problem you’re facing with your home after a long harsh winter is probably more along the lines of a leaking chimney than it is mice. For Milwaukee chimney leak repairs, the professional Wisconsin Chimney technicians are your only answer. A chimney is all about the details, not only in terms of long-lasting beauty but also stopping the miniscule cracks in sealant which allow water leaks to damage your home. Several issues could be the problem, all of which our leaking chimney inspections have immediately pinpointed on thousands of Milwaukee area homes. For example, your chimney crown will crack gradually over time, often being the cause of your chimney water leaks. When the crown is broken, even chimney flue caps are limited in the amount of water they can prevent from coming down the actual chimney flue. 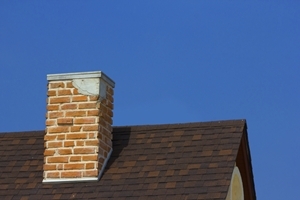 Another issue is your chimney flashing is often improperly sealed. Hack jobs often attempt to solve chimney flashings with insecurely installed aluminum or tar. Such a mistake leads to more chimney leakage in the near future. Expert Wisconsin Chimney technicians make it an exclusive point to waterproof chimneys with superior seals, protecting your home from the damage a leaking chimney causes. Following a rough winter, repeated snow will freeze over the brick, then thaw, then drip. Repeat. This is the brutal cycle a winter inflicts upon your chimney. Not only does the constant ice and moisture lessen your home’s elegance and lower the overall value, but the chimney water leaks create enormous weight upon entire structure, causing the individual bricks to become increasingly damp. You may have heard it said brick should never be powerwashed. Likewise, if a home owner were given the choice, no family would allow the pressure of melting snow to harm the brick of their chimney. Snow is often a leading cause of Waukesha chimneys water leaks. Chimney leak preventions don’t come easy to any home in the Waukesha area. Milwaukee chimneys are located in the Midwestern climate after all. One overly common problem for leaking chimneys is not having a chimney chase cover for water leak prevention. Chimney chase covers prevent Milwaukee homes from other problems beside moisture damage, including birds and rodents, as well as leaves and other debris. At the end of the day, let roofers focus on your roof, and let chimney inspection professionals handle your chimney. The solution is not only logical but far more cost-effective. 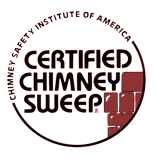 Wisconsin Chimney experts fix chimney leaks the right way, the first time. 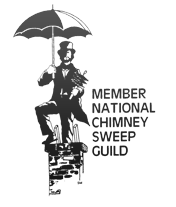 Contact the Milwaukee chimney leak repair experts at Wisconsin Chimney today.